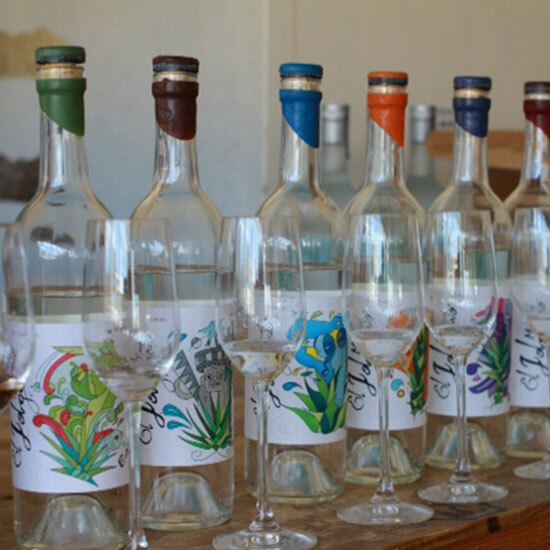 “The Cortes family has been making mezcal for six generations. Uncles, parents, all of them are involved. Each mezcal comes from a different family member. You pick one up and you can read who made it.” Many of the mezcals are made from wild-harvested agave grown in Oaxaca and are double distilled in copper pots for an incredibly clean flavor with lots of ripe fruit. “This mezcal is what people have in mind for mezcal: spicy, peppery, a little burn, dry smoke—that is the Alipús characteristic throughout the entire line. Alipús is based in Mexico City but use mezcaleros from San Baltazar Guelavila and San Andrés and San Juan del Rio.” Ranzuglia’s favorite is the purple-labeled San Baltazar Guelavila.